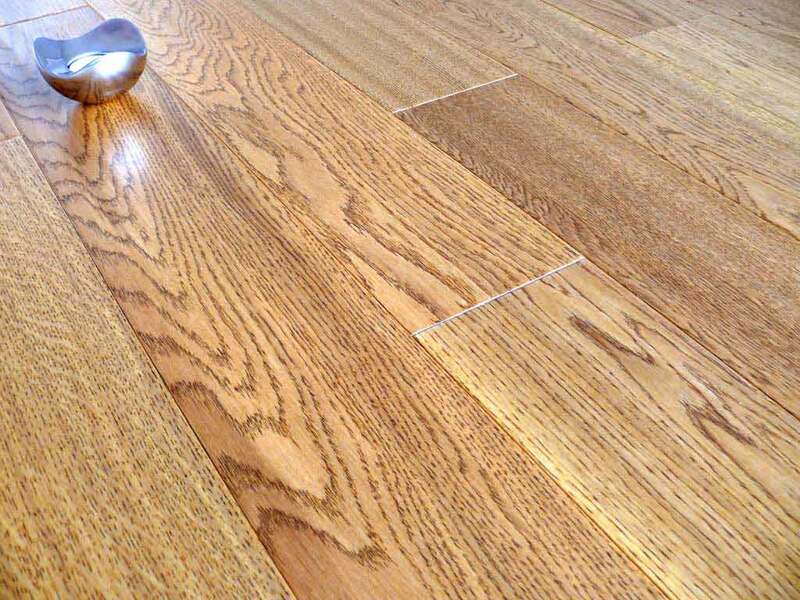 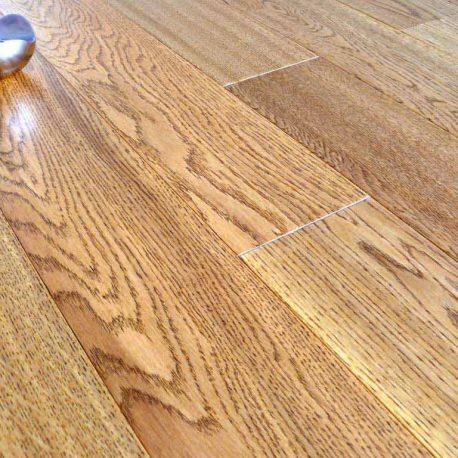 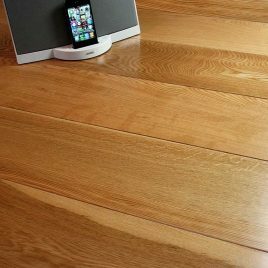 Golden Hand Scraped Lacquered Oak wood flooring. 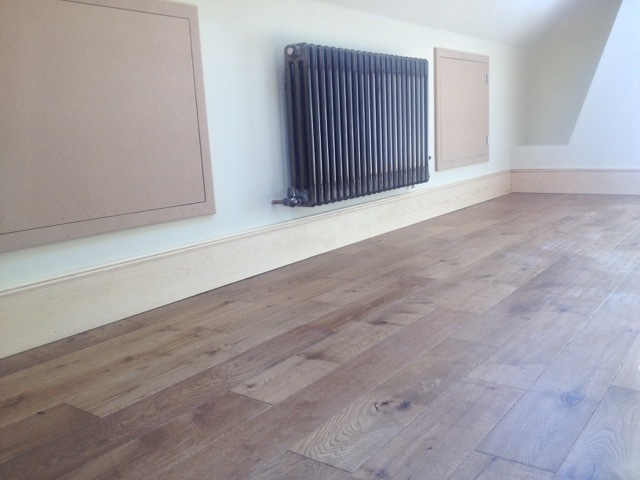 Each board has a micro bevel along the lengths of the boards to accentuate each plank. 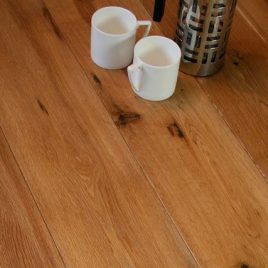 The structure of the board is made up from a 2.5 mm top layer of real oak and a 7.5 mm HDF backing. 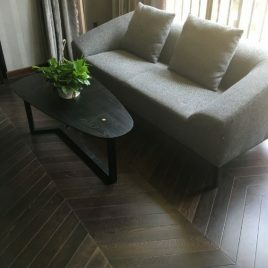 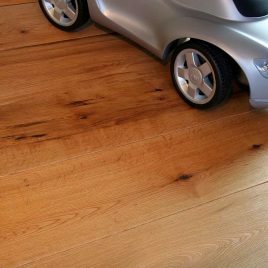 The boards are 127 mm wide Lacquered oak engineered wood flooring click system 10mm thickness with 7.5mm HDF backing and 2.5mm oak top the boards come in random lengths 300mm – 1200mm.